Terry and Kim Pegula own HarborCenter, along with the Buffalo Bills and the Sabres. Terry Pegula says one goal behind the sports and entertainment complex was to make Buffalo a destination for hockey. He says that is just beginning. 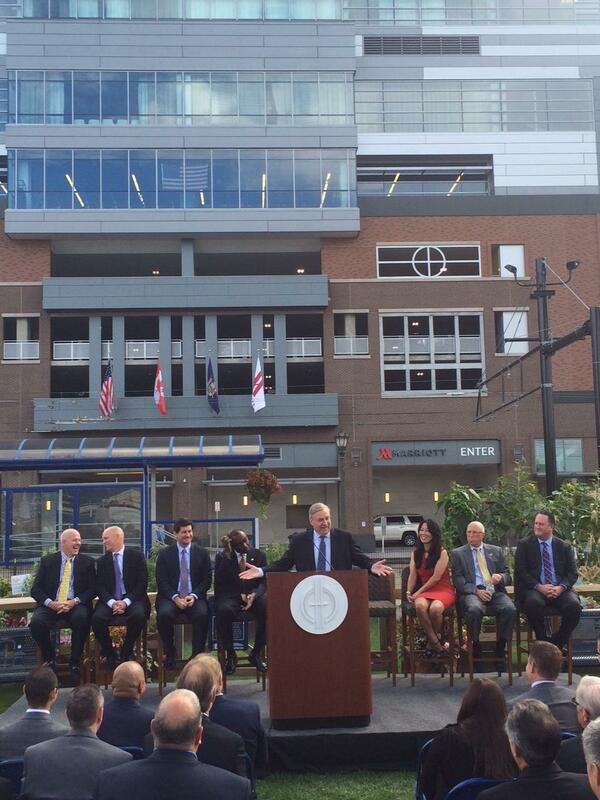 Terry Pegula celebrated the grand opening of the HarborCenter Marriott Monday morning. "We're getting there. Hopefully, with the destination comes better things, like a Stanley Cup for our hockey team," Pegula said to applause. 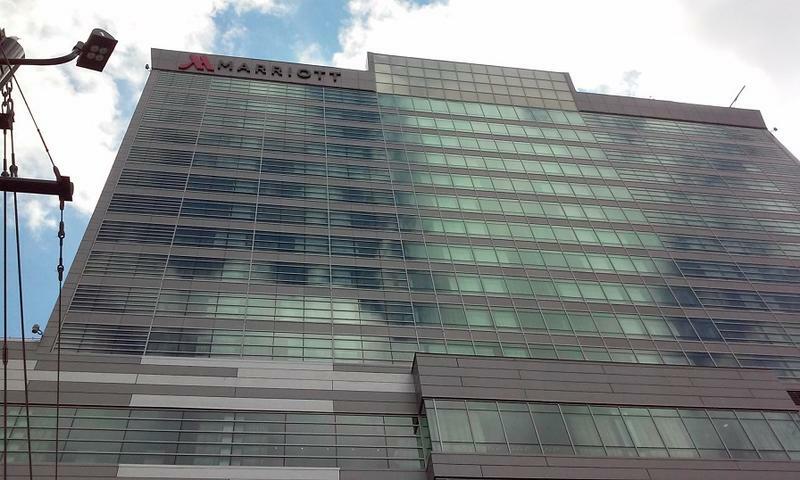 Sabres Chief Development Officer Cliff Benson says the 205-room Marriott is more than just a hotel. "I think this kind of redefines the landscape. It's extraordinary. The fact that we were part of a brand new design for Marriott really makes a big statement," Benson said. Benson says about one million man-hours went in to building the hotel and HarborCenter. Crews first broke ground on the entire project in 2013. 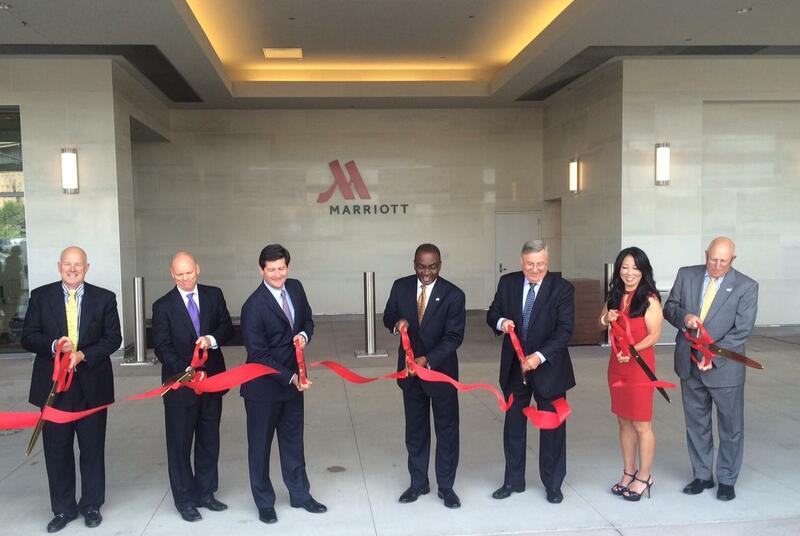 Local leaders cut the ribbon on the 205-room HarborCenter Marriott. Officials say compared to other projects, the $200 million HarborCenter received a relatively small public subsidy. The Erie County IDA provided about $35 million in tax breaks, which should be recouped quickly given the revenue the facility is expected to generate. Along with the hotel, HarborCenter has two NHL-sized ice rinks, a restaurant, a Tim Hortons coffee shop, retail shops and a parking ramp. The final major component in downtown Buffalo's highly-touted mixed-use facility is completed and welcoming its first guests.